A written appraisal of your instrument is often a neccessity; most insurance companies require written documentation of an instrument's value before adding it to a homeowner's policy. 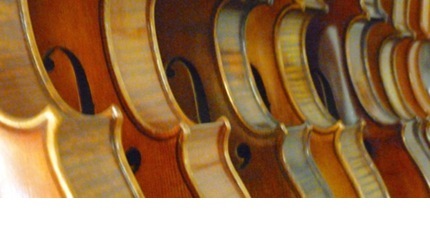 Master Hand Violin Shop is the best shop around to supply you with an appraisal! Not only are our appraisals accepted by insurance companies everywhere, but because we have decades of experience and regularly follow auction and market prices in Europe and the United States, we can assess an accurate valuation of your instrument. The cost of a written appraisal is dependent on the value of the instrument, and we will tell you the cost before beginning the appraisal. Written appraisals start at $50.00. Verbal appraisals cost $20.00.